It appears as though Apple's success selling the Apple iPhone 5 as the smartphone for everyone has helped the product lose it's cool factor amongst teens. Why are teens beginning to turn their collective back on Apple? One reason is that the iPhone is seen as being too popular to be cool. So what devices are cool enough for the kids? The Samsung Galaxy S III, the flagship Android handset, and the Microsoft Surface tablet by Microsoft are now "in" among teens. And look at how Samsung marketed its flagship smartphone this year. By making Apple iPhone users appear to be old or geeky in a series of television spots, it made Samsung Galaxy S III users seem young and cool. Similarly, an ad run by Microsoft that shows kids dancing at a high school with the Surface tablet helped the device attain "cool" status. 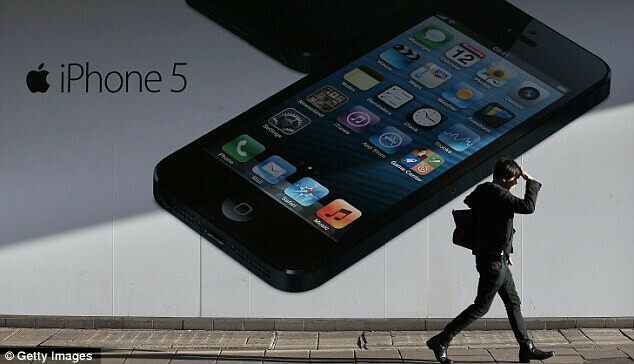 According to Insites-Consulting’s Joeri Van den Bergh, the Apple iPhone 5 showed very little innovation for the second straight year. After a tremendously popular redesign with the Apple iPhone 4, the Apple iPhone 4S and Apple iPhone 5 were said to have incremental changes, including a larger sized screen in this year's model. Meanwhile, the Samsung Galaxy S III had a re-design and added a ton of new features, some of which are still being sent out via firmware updates. Features like multi-windows have really grabbed the attention of teens. For many, iOS is beginning to feel old. Several teen opinion polls showed Apple on a downward trajectory. Regardless, 67% of affluent teens say that for their next update they will be an Apple iPhone versus 22% who will buy a Samsung model. And while that might seem like a huge victory for Apple, just a few years ago the idea that a teen would want any phone other than an Apple iPhone would be considered blasphemy. Ha! Retina is out of date in the new era of 4K (aka "Ultra HD"). Mac doesn't even offer touchscreens, and probably won't until next year. Typical apple, months and years behind everyone else. I don't think we will see many 4k monitors/laptops for awhile. Faith in teens... RESTORED ! I actually see more teens with iPhones than any other phone. because you only try and see teens with an iPhone ... rest you hav e been programmed to ignore. No I've seen it with my own eyes. Then perhaps time to visit an opthalmologist soon. As supposed to you have seen it with someone elses eyes. lol No matter what the facts will say you will never believe the truth only what you want huh. No thunderbolt I can see where he's coming from. I dirve county transit here n vegas, and as a techie I'm constantly looking to see what devices people r carrying. I honestly see more teens with iPhones, and next r galaxies...now here's the kicker, when I ask them how they like their iPhone most say its ok, but I want the s3, or the big one (the note). No actually...over half of the teens I know own iPhones. That is just a simple fact in our lives. The fact that you don't like Apple doesn't mean you need to downvote someone simply because he is stating what he sees around him. He probably hangs around different people than you, and so they have different phones. To say that he is blind because of that is just rude. Keep your super biased comments and rates to yourself and just look at things objectively for a change, or are you too obsessed with Google to be able to do that? Spend a lot of time looking at teenagers? Pervert. You like to start trouble don't u? Actually so do I. Followed by galaxy s3's. I see only young adults, and mature grown ups with notes. of course you do. we're talking about every generation of iPhone against every one type of Android handset. i actually do see a lot of kids with Galaxy SIII's considering though. Well there you have it, conclusive scientific proof. In that case the report is incorrect and they must be pull those info from the sky haaaa? well this article is certainly going to help solve the deficit the economy is in. congrats yay this article will be a feeling of popping cherry for fandroids. its like all this bickering with the isheeps has finally come to an end. why ? and how ? cause god revealed it in the holy scriptures...not the cure to problems of humans and the violence and all that mumbo jumbo on cnn and fox but but but a decision of what OS is better. I see 4k monitors arriving in a year and hitting the mainstream in maybe 3 or 2 and a half. well for this year and probably through next year too 4K Televisions are surely going to be ridiculously expensive whenever we even get them in the consumer marketplace and look at how expensive the Retina Macbook is now and it's display is of course within Retina territory meaning it's as sharp as your eyes can possibly perceive it. the common consumer wouldn't bother even IF they were anywhere near having it for us in something like a Macbook. it would just be too expensive, impractical and too power consuming. i wouldn't look for this on a Macbook next year let alone this year. Retina is a meaningless term. Apple called the iPad 2 retina. Guess that makes the Nexus 10 ultra super mega retina.